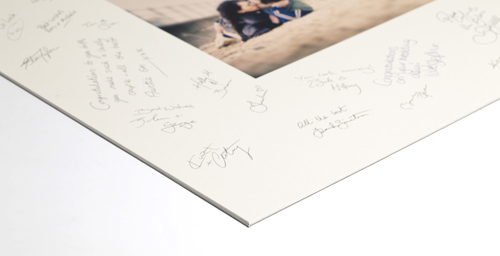 With our new and exciting signing board, your image is mounted onto heavy board and surrounded with a wide writing mount. 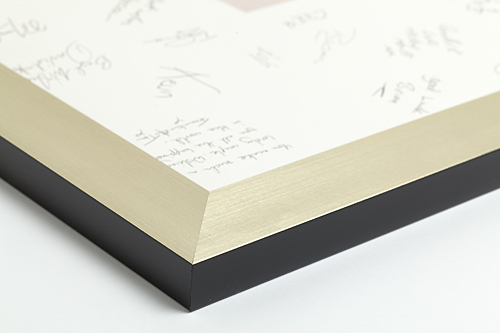 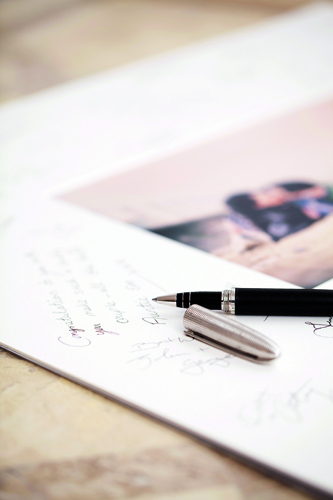 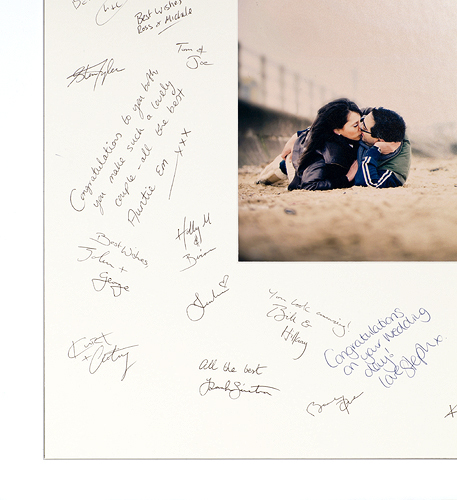 The signing board can be placed at the wedding reception for all your guests to sign with a special personal message. 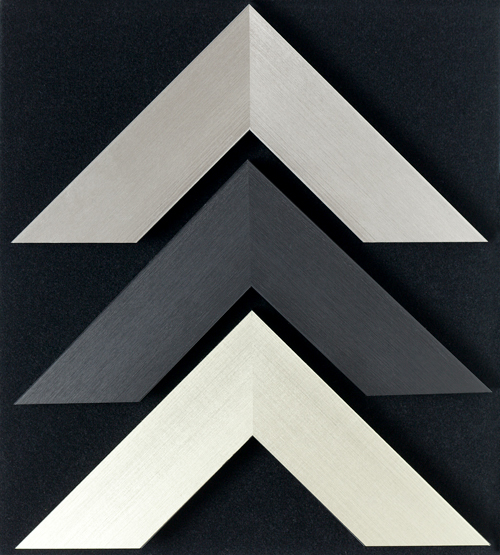 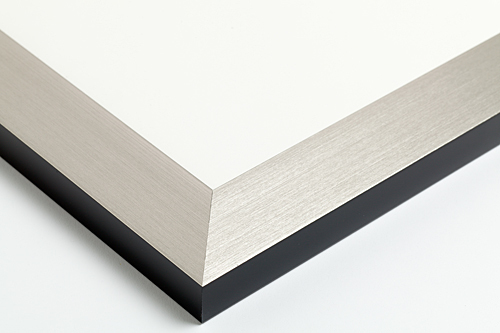 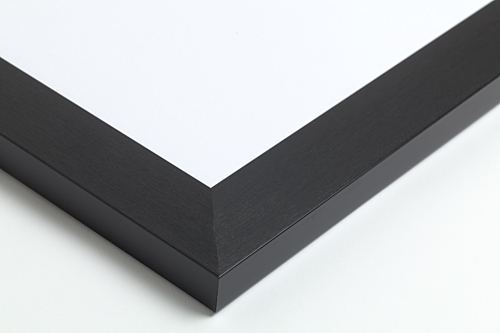 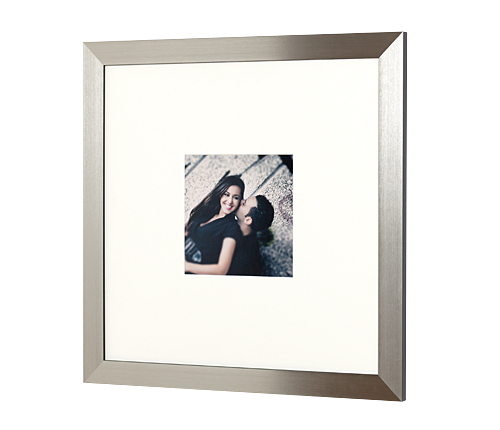 There are three different sizes to choose from, 20×16, 20×20, 20×24 and there are now three new frames to give a stunning finish: black, pewter and champagne. 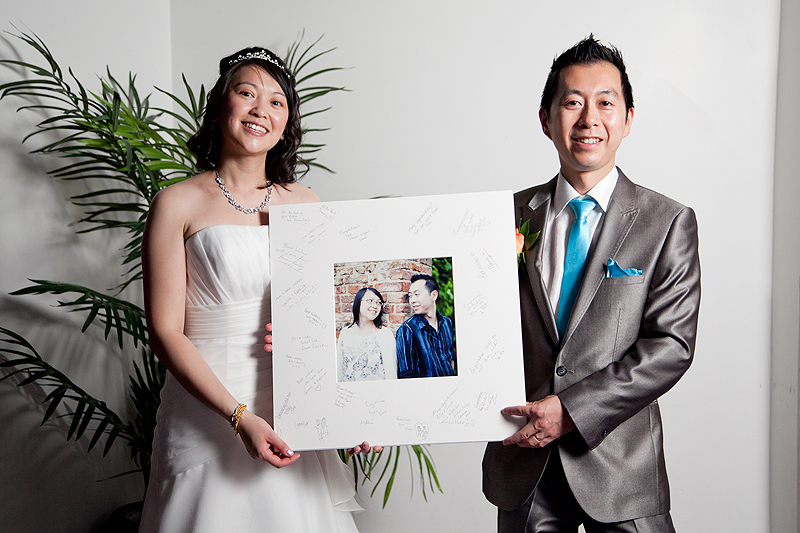 * All pre wedding shoots include a complimentary 20×20 inch signing board featuring a 10×10 inch print or a 20×16 inch signing board featuring a 10×8 inch print.